This is a memo board I made for my office. I love it and the best part is – it was FREE!!! 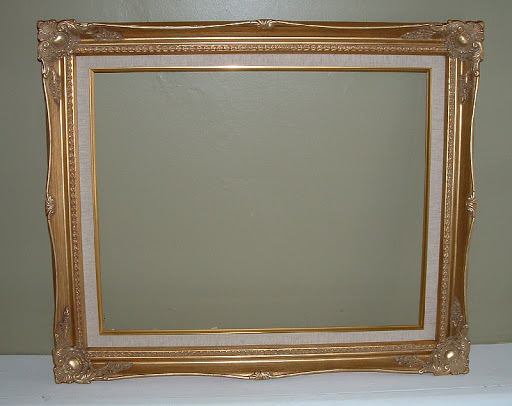 I used this gold frame that I had in my attic for years. It’s pretty but not my style. So I painted it white. My mom was going to throw out some cork board and I snatched it up before it hit the trash can (that’s what got me thinking about making this). 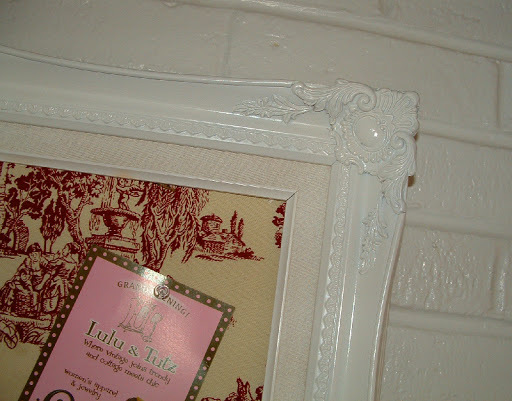 I used the toile fabric that was leftover from a previous project and wrapped it around the cork board. 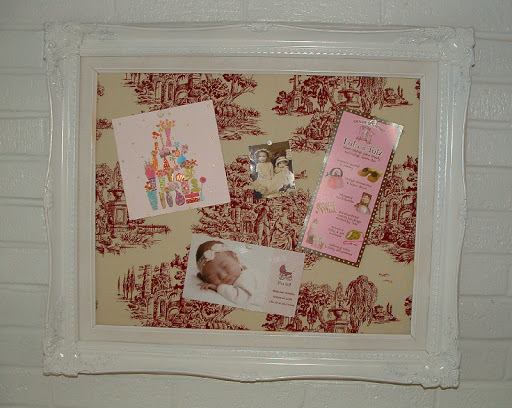 And, voila, a handy-dandy memo board!